Hey folks, September is here and Fall is just around the corner. Right now in the retired farm town of Albany Oregon there are the once glorious orchard trees producing with or without the farmer. And with food rotting off the tree’s you better bet I’ll be out foraging my share before the worms do. Today we hit the streets searching empty lots, road sides, rivers and parks hoping to find a forgotten bearer. 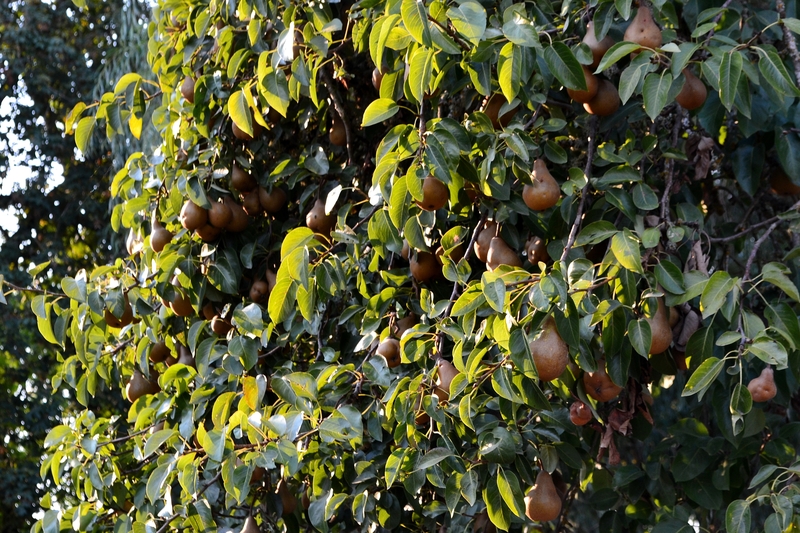 There was a good score of beautiful pears along the Willemete river just before hitting Corvallis’s waterfront. Still a little unripe but that didn’t stop me from getting a couple days worth. Across the way in the same lot was a Hazelnut tree. And while this one was past its season I was able to collect a few back in town. Of course when foraging unmanaged Hazelnuts you can be sure the majority will be infected with the Filbertworm. These little pest burrow their way through the crown of the nut eventually eating its way back out as a fully developed moth. Keep a keen eye for their markings to reduce the amount of spoiled nuts collected. A healthy nut should have no visible burrow markings what so ever. 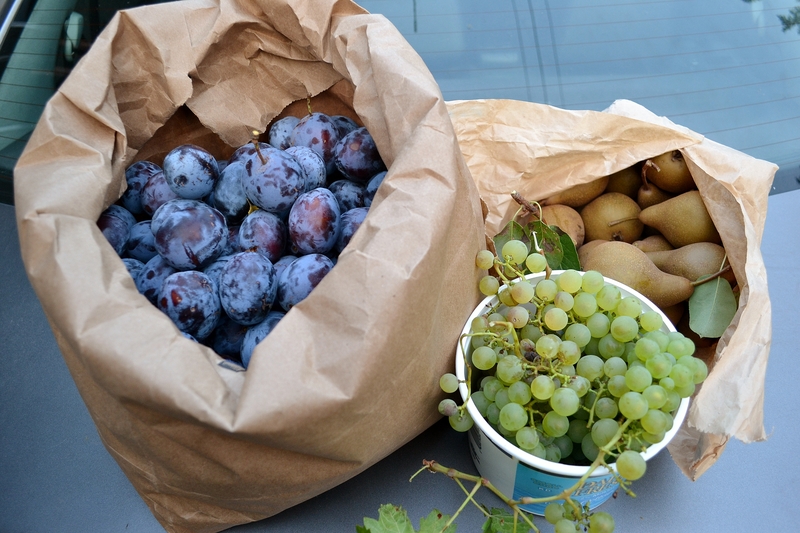 Heading back towards Albany on (Hwy 22) Italian Plums were spotted in full force! And only 15 minutes later I had more than enough for eating and drying. I managed to get myself plenty in just a short amount of time. 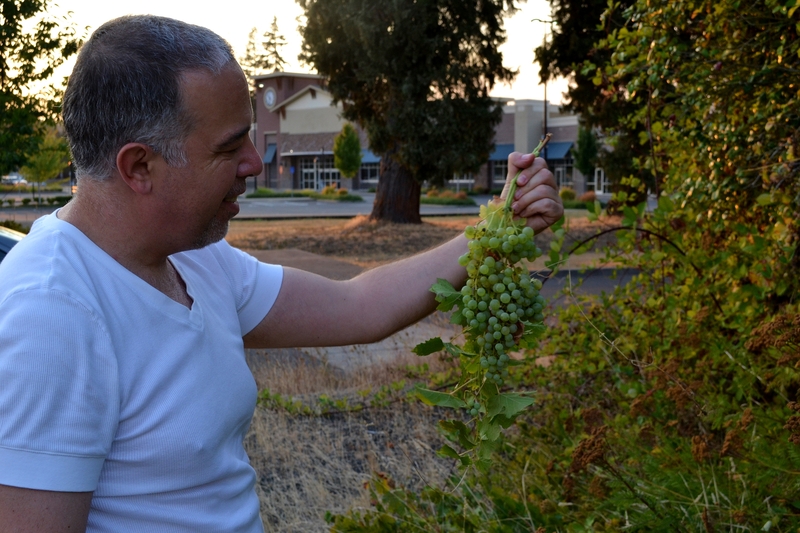 After some more exploring and the discovery of soon to be ripe walnuts we came across an abandoned lot where a white grape has managed to fend for itself. Rising up in the trees and creeping along the ground, it was easy picking. And although tempted, I refrained from over picking this trip as I foresee some wine making in the near future! Beautiful grape clusters sprawled across the ground, foraging doesn’t get any easier. At last I am back home in time to admire the ‘fruits of my labor’. 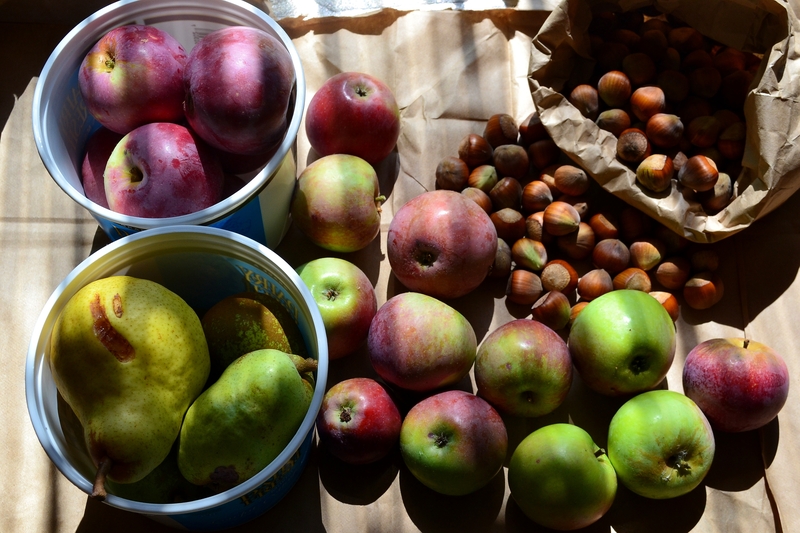 Today I foraged hazelnuts, pears, plums, grapes and apples. Whats stopping you? Free organic food is just waiting to be picked! So here you have it folks, free picking to all whom make a day of it. 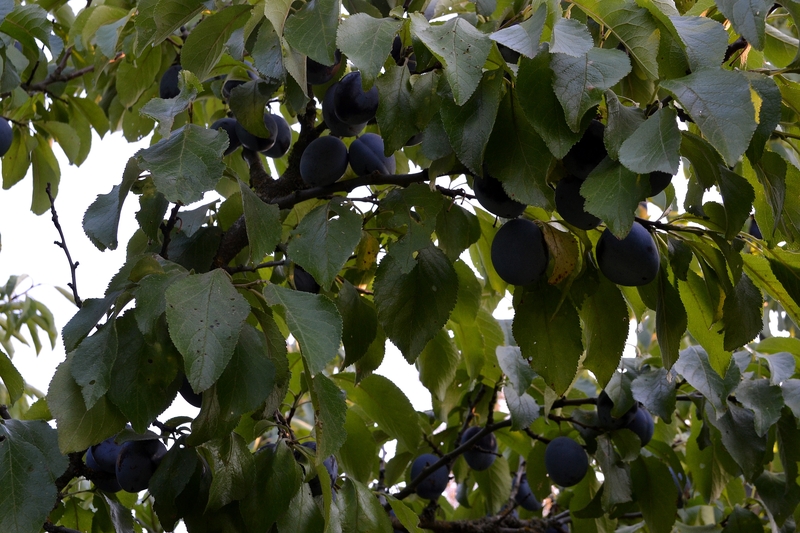 I’m sure you can think of a neighbor who has fruit falling on the ground. Why not ask them? If anything offer them half of the harvest. Or take a drive in search for your own towns forgotten bearers. Either way your bound to enjoy yourself while getting to know your community a little bit better.